Here we have those prolific and generally useless McCorporation Happy Toys being put to a much better use. I discovered that my waist decreases for Picovoli were not even - obviously I was distracted at some period (Who Moi?) and did the SSK before the marker and not after - as clearly stated in the instructions. 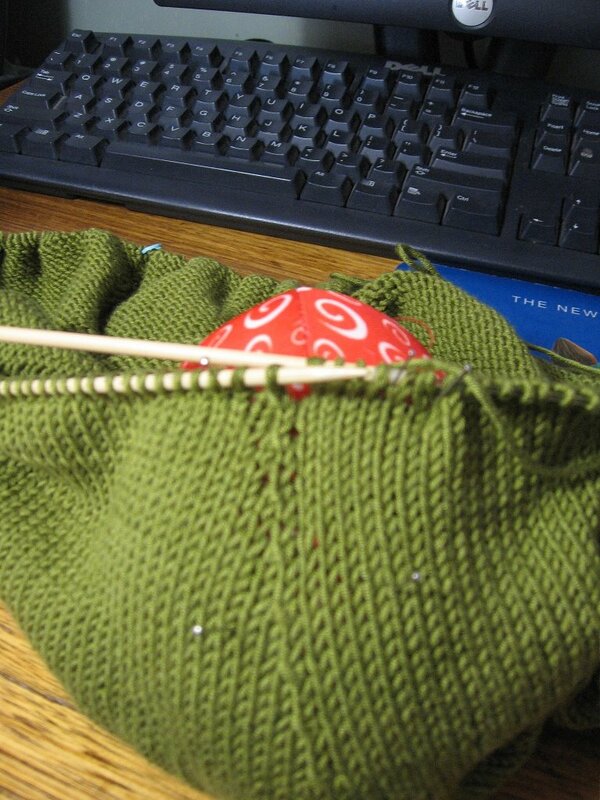 Instead of a nice even line of left slanting stitches I had the Zig Zag line. I would have ripped it out in the past but I'm starting to get a bit braver with the 'drop down and pick up' technique. At first I had crochet hooks and cable needles slipping and sliding as I juggled all the stitches - trying not to make it worse and failing miserably. 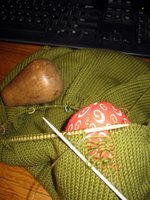 I tried using my heirloom Sock Darning Pear but it was also too slippery and too small. Then the McToy caught my eye. Perfect size, able to have pins stuck in it, nice and light, it did the job beautifully! A bit of stretching and blocking and you wouldn't notice the repair (much). 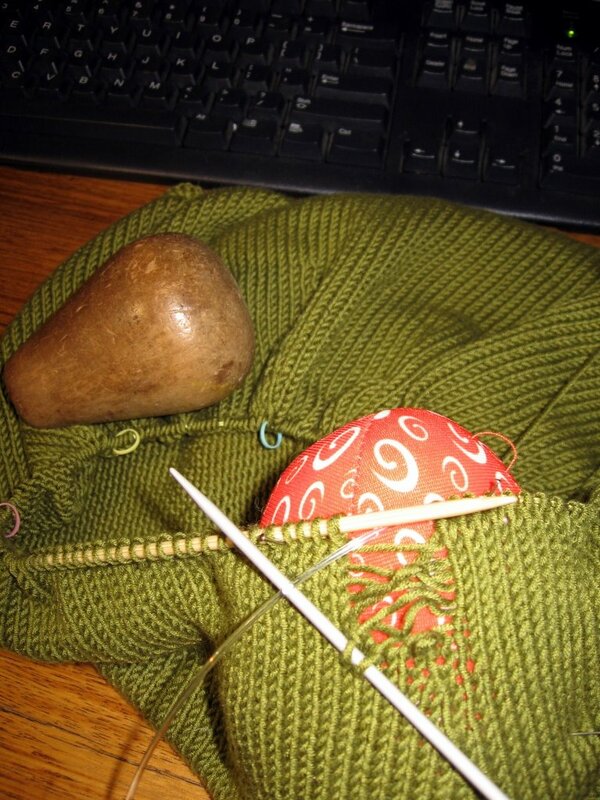 This now useful tool will be added to the knitting accessories basket. Great idea, Kate. Have you seen this? New podcast, based in lower Blue Mountains. He seesm like a nice man, has asked if he can come to SSK. Well, theatre is all about lateral problem solving after all.